Lotus owner Gerard Lopez says Kimi Raikkonen "has enthusiasm and desire" which allowed him to be immediately competitive again in Formula One. Raikkonen's laid back approach to the sport and dislike of sponsorship and media commitments raised questions over whether he would remain motivated when returning to Formula One at the start of 2012. However, an outstanding season last year saw him finish third in the drivers' championship and win in Abu Dhabi, leading Lopez to admit his pleasure at silencing the doubters. 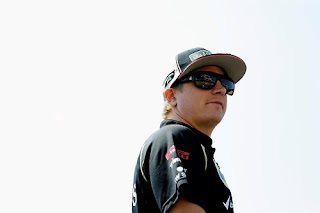 Lotus F1 owner Gerard Lopez believes Kimi Raikkonen's enthusiasm and desire coupled with freedom from the team has helped the Finn to blossom. When the Enstone squad decided to lure Raikkonen out of the retirement, many questioned whether he would be motivated following a few years in the World Rally Championship. However, the former World Champion impressed during his comeback season as he finished third behind Sebastian Vettel and Fernado Alonso in the standings and also claimed one race win and six further podiums. 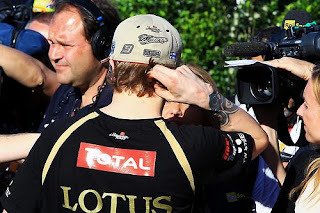 In an interview with Gazzetta dello Sport Lopez said: "Everyone who had claimed that he wasn't motivated now comes around to tell me they knew Kimi was still super strong. "It makes me smile. I knew it would be like this. Raikkonen has put in a great amount of work to compliment his talent and the results are the fruit of that." He added: "He feels like he is used for what's most important and the rest of the time he is free. He's found a balance; we speak every week and he feels good. He has enthusiasm and desire. I want drivers, not robots." Lotus boss Gerard Lopez has said Kimi Raikkonen will pose a serious challenge for the world title this year after silencing doubters in 2012. Lopez said he was proud of the Finn’s strong performances last year, particularly when many ‘experts’ were convinced he would be unmotivated for his Formula One comeback. He added the team’s policy of letting Raikkonen concentrate on driving had paid off handsomely, the Sun reports. 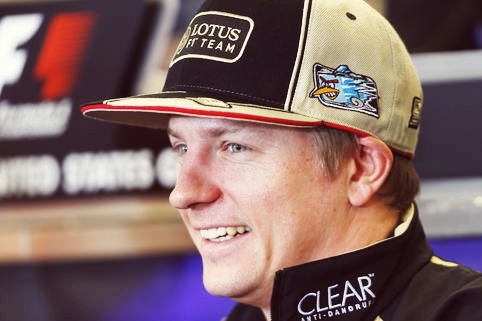 Lopez said the pessimistic views of those who thought Raikkonen would fail made him smile. 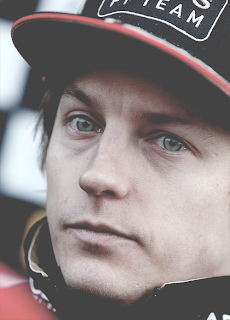 He added that Raikkonen put a great deal of work to compliment his talent and the results were the fruit of that. 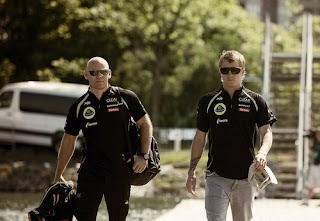 Lotus team owner Gerard Lopez is happy with the contribution Kimi Raikkonen has made to the Enstone squad's revival, insisting that he always wanted 'drivers, not robots' in his cars. Lotus F1 team owner Gerard Lopez says that he had no doubts that Kimi Raikkonen would be able to return to his previous best, unlike others who questioned the wisdom of signing the Finn after two years out of the sport. 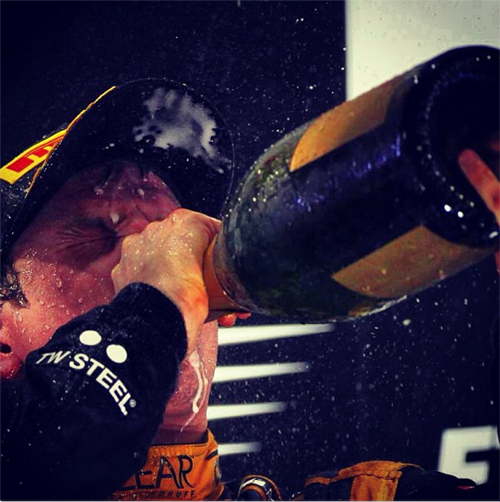 Despite including a world championship campaign in 2007, Raikkonen's first stint in F1 earned him the reputation of having a laissez-faire attitude and he did little to disguise his contempt for extra-curricular commitments to sponsors and the media, leading to suggestions that Lotus' decision to hire him for 2012 could cause headaches for the team. 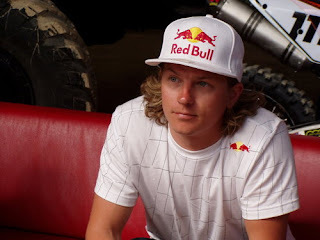 The Finn, however, proved the doubters wrong by being a podium threat for much of the year, before eventually taking victory in Abu Dhabi en route to third overall in the standings. Romain Grosjean has dropped a big hint about Lotus' 2013 plans, revealing the new Enstone-built single seater will be launched late this month. Speaking to the French sports news program Stade 2, the Frenchman also revealed that he and continuing Lotus teammate Kimi Raikkonen will equally share the 12 days of preseason testing in February. "The next few weeks for me will be intense training, with the presentation of the new car at the end of the month," said Grosjean. "Then I will have six days of testing in February and then finally the beginning of the season in March," he added. Grosjean, 26, also spoke about his tumultuous 2012 season, and his acknowledgement that he needs to maintain his new approach to Formula One. "I do not think winning at all costs is the goal, because the dream is to become World Champion one day. "Of course it is true that you have to win races to be champion, but I must be careful not to mistake the goal," he added. Lopez believes Raikkonen has found the balance between focusing on his goal as well as making time for himself. 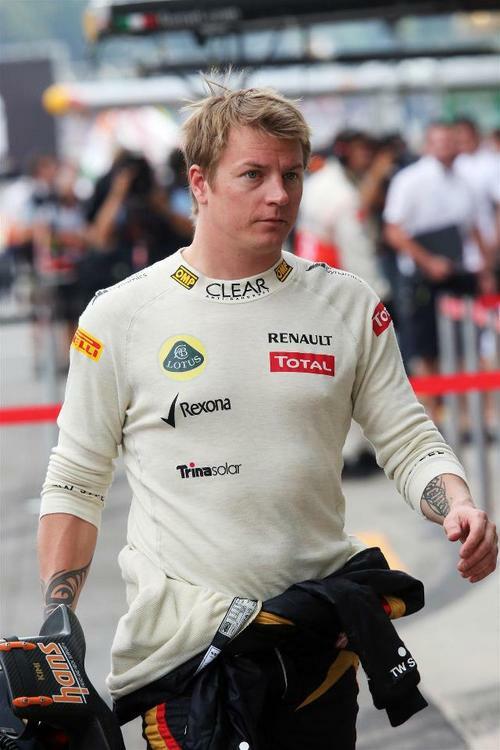 Lotus owner Gerard Lopez said Kimi Raikkonen has the ‘enthusiasm and desire’ which has allowed him to be a competitive Formula One driver once again, according to ESPN. Questions had been raised over Raikkonen’s casual approach and his distaste towards making commitments to the media and disliking sponsorship. This had expressed doubt over whether he would be motivated when returning to Formula One during the beginning of last season. 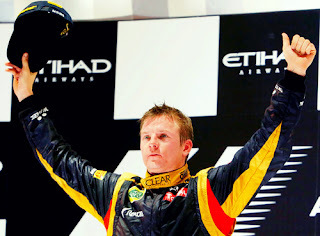 However, Raikkonen gave an outstanding performance in 2012 as he finished third in the drivers’ championship and won the Abu Dhabi GP. Kimi Raikkonen has clarified his aversion to sophisticated Formula One simulator technology, insisting he simply "learns nothing" at the computerized wheel. An avowed fan of idol James Hunt's bygone days, 2007 World Champion Raikkonen has always sounded unenthusiastic when asked about the simulator technology that has replaced F1's former days of expensive track testing. That sparked rumors that, like Michael Schumacher, simulators give the famous Finn motion sickness, or that perhaps the former Ferrari and McLaren driver is claustrophobic. Raikkonen's new team, Lotus, has now developed a brand new simulator at its Enstone base, but it appears only teammate Romain Grosjean will be at the wheel. "I just think that I can learn nothing in the simulator," the 33-year-old is quoted by Switzerland's Speed Week. Raikkonen could have kept improving in rally - Mikko Hirvonen, the 2012 world rally championship runner up, believes countryman and current Lotus Formula One driver Kimi Raikkonen would have kept improving had he stayed in rallying. Finn Raikkonen, Formula 1's 2007 World Champion who has driven for top teams McLaren and Ferrari, finished the 2012 season in third place as he made his return to the sport. In 2010 and 2011, following his split with Ferrari to make way for Fernando Alonso, the now 33 year old opted to try his hand at world rallying. Speaking about Raikkonen's competitive return to Formula 1 last year with Lotus after two seasons away, Hirvonen said: "Well, it was not really a surprise. "This man knows how to drive Formula 1 (cars). 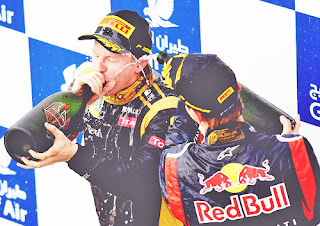 When I heard he was going back, I thought that if the car is good, he will survive, and Kimi did very well," he told Turun Sanomat newspaper. 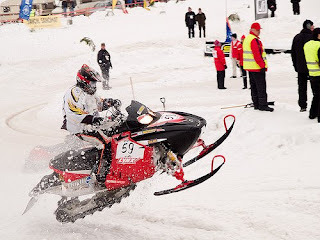 But Hirvonen thinks Raikkonen would have kept improving had he stayed in rallying. 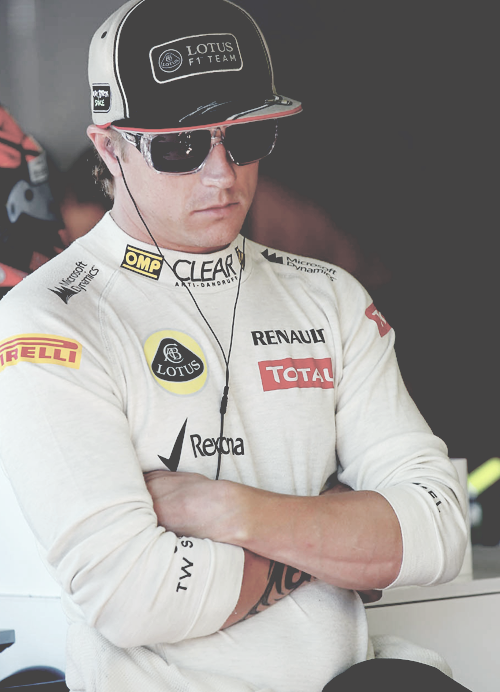 "The results would certainly have improved, but how much would have depended on how much enthusiasm Kimi had for practicing and testing. "But his pace would definitely have improved in the third season," he added. Lotus is doing the right thing in allowing Kimi Raikkonen to be his own man in Formula One, believes triple world champion Jackie Stewart. The Scottish legend, who is also a strategic advisor to Lotus owner Genii, reckons that the team should have no worries about Raikkonen's quirks off the track because he is so quick on it. "You don't change Kimi Raikkonen, you don't change him," said Stewart, speaking on the AUTOSPORT Stage with KX at AUTOSPORT International on Saturday. "I speak to him very seldom on a weekend, because if he wants to speak to me, he will come and speak to me. If I and go tart him up, he thinks 'what are you talking about? Why bother me?' That is how the reaction would be. "He is a very special person, the most special of any grand prix driver past and present, but his return was better than [Michael] Schumacher's return. He was up there every single race he was in last year, and he delivered." Stewart's comments come a few weeks after Lotus owner Gerard Lopez suggested that Raikkonen had flourished on his F1 return because of the atmosphere at the Enstone-based team. DRS clampdown 'sensible', Raikkonen - Banning the use of the Formula One drag reducing moveable rear wing innovation DRS on the Friday and Saturday of a race weekend is a good move, Kimi Raikkonen has declared. DRS was introduced in 2011 to make overtaking easier during Grands Prix. But because the FIA feared that set-up compromises would minimise the effectiveness of the system, it was decided that DRS could also be used during free practice and qualifying. That will now change for 2013, when DRS is only used during races. 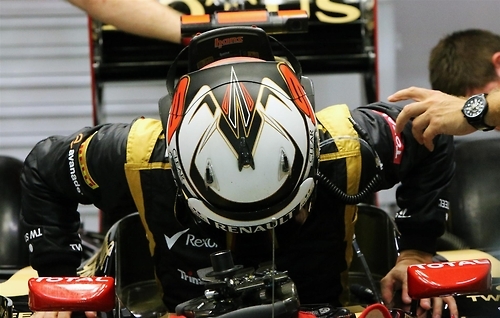 "It's a sensible change," said Lotus driver Raikkonen. "It had been going more and more in the direction of everyone trying to take advantage all the time to use DRS earlier and earlier. "At some point it was going to cause a big crash. 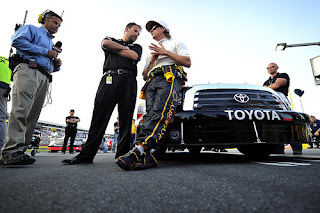 The drivers wanted this change." And Finn Raikkonen told Turun Sanomat newspaper the DRS clampdown could also be useful for another reason. "Probably it will stabilise the better cars, where for example the Red Bulls were able to drive through some corners with the DRS open, while others could not," he said. Meanwhile, Raikkonen refuted suggestions that top drivers, like, for example, Lewis Hamilton, are able to switch teams and improve the performance of a team's car. Lotus driver Kimi Raikkonen is pleased with the FIA's decision to limit the use of DRS next season. Raikkonen believes the FIA's move to ban free use of DRS in practice as well as qualifying, while it will place the same restrictions for race days during those sessions, is a positive step for the sport to take. DRS, which allows drivers to get a boost in speed by opening a flap on the rear wing, has always been restricted to certain areas of the track, but available for drivers to use more freely in both practice and qualifying. The 2007 world champion Raikkonen believes it is a good move and may even enhance his title claims as he is set to battle with reigning champion Sebastian Vettel, Fernando Alonso and co in 2013, following his third-place finish in 2012. "It's a sensible change," he said. "It had been going more and more in the direction of everyone trying to take advantage all the time to use DRS earlier and earlier. At some point it was going to cause a big crash. The drivers wanted this change." Lotus boss Gerard Lopez reckons Kimi Raikkonen will challenge for the world title this year after silencing the doubters in 2012. Lopez said he was proud of the Finn’s strong performances last year, particularly as so many “experts” were convinced he would be lazy and unmotivated on his Formula One comeback. He added the team’s policy of letting Raikkonen concentrate on driving, with the bulk of his time free of the media and promotional commitments he loathes, had paid off handsomely. Lopez, who owns Lotus through his investment firm Genii Capital, said the pessimistic views of those who thought Raikkonen would flop had made him smile. He added: “I was sure it would work out like it did. “Raikkonen put in a great workload to compliment his talent and the results are the fruit of that. “Here, he feels like he is being used for what’s most important and for the rest of the time he is free. He has found a balance. Lopez is now expecting the 2007 world champ to spearhead a serious attack on this year’s title. He believes Lotus proved four key points last year — the quality of their drivers, the speed of Raikkonen’s team-mate Romain Grosjean, their ability to build a competitive car and their staying power in F1’s never-ending development race. Grosjean has been re-signed by Lotus despite a crash-strewn 2012 that saw him banned for one race and scoring 111 points less than Raikkonen. Lotus owner Gerard Lopez has said Kimi Raikkonen delivered for the team last season because 'it gave him the atmosphere to thrive'. Raikkonen finished third in the 2012 Formula 1 drivers' championship and Lopez believes the 33-year-old driver dug deep to produce his best last year. 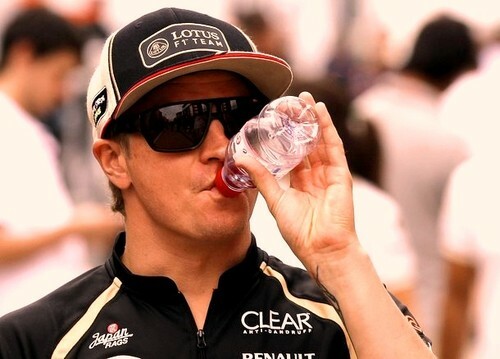 "Everyone who had muttered that he wasn't motivated now comes around to tell me they knew Kimi was still super strong," Lopez told Gazzetta dello Sport. "It amuses me. I knew it would have ended up this way. Raikkonen has added hard work to his talent, and the results are the fruits of this cocktail. 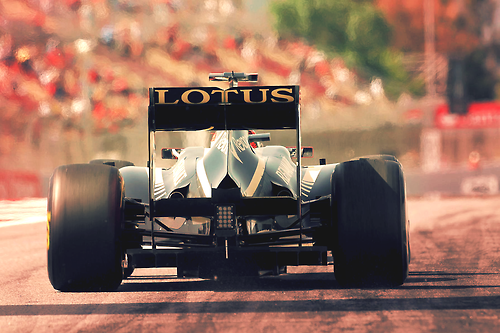 "Raikkonen in Lotus feels utilised for what's most important, while he is free for everything else. He has found balance." Romain Grosjean hints at a January launch for the next Lotus F1 challenger as he looks ahead to a cleaner 2013 campaign. Romain Grosjean has revealed that he and Lotus team-mate Kimi Raikkonen will get an equal crack at developing the Enstone team's new F1 contender once pre-season testing gets underway next month. 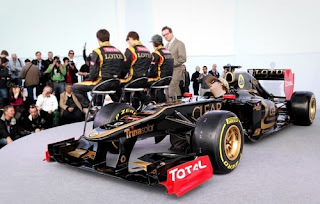 Inadvertently confirming that Lotus will likely unveil the car before the end of January, the Frenchman admitted that he was looking forward to getting a head start on what could be a crucial campaign after the criticism he attracted in 2012. Three four-day test sessions are slated for Jerez and Barcelona before the first race in Australia, beginning at the start of February. As the off season rolls on, more seats for the 2013 season are being snapped up, leaving just two remaining vacancies. Still to confirm their complete driver line ups are Force India and Caterham. This week has seen Romain Grosjean retain his seat at Lotus for next season. The team did consider other options including Kamui Kobayashi and Heikki Kovalainen, which must have been of concern to the Frenchman especially due to the tumultuous season he has had, but the final decision was to maintain him to drive alongside Kimi Raikkonen for a second consecutive year. Lotus F1’s Kimi Raikkonen has stated that he is not the fan of the simulators and that the new one at the team’s Enstone factory is not going to change anything. 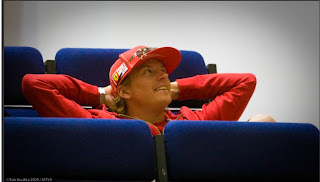 The Finnish driver also stated that the team will have to work together in order to be successful during the 2013 F1 season. 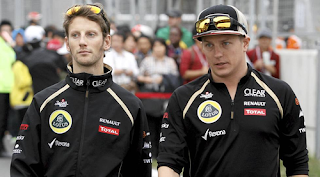 Lotus boss Eric Boullier believes that Kimi Raikkonen and Roman Grosjean will perform better at the start of 2013 than they did 12 months ago. Boullier believes the lessons learnt from 2012 - the progress the drivers have made combined with a better technical understanding from the engineers - bodes well for Lotus next year. "I would be very happy to start the season with the same car performance we had last year relative to everyone else," Boullier told Autosport. "I know both our drivers will be race fit and, let's say, delivering more than 12 months ago. "On the team front, last year we lost a little bit of ground during the summer, but we know where and we know why it happened. We learned from our mistake and we will not do the same strategy with next year's car development. "At the same time, we performed well at the end of this season, and found some of our performance back, so it was a good fight until the end. It was good to see Enstone was capable of delivering as much as the bigger teams. Lotus F1’s Kimi Raikkonen has stated that the DRS restriction by the FIA during the 2013 F1 season is a sensible change in the rules. FIA is introducing two major rules in the 2013 F1 season. One of them is the restriction of the Drag Reduction System (DRS) in the practice and qualifying sessions. Previously the DRS was restricted to the DRS zones only during the day of the actual race but from 2013, the same rule will be applied in practice sessions and qualifiers. The new rule has been imposed to provide better safety to the drivers on the track as excess use of DRS is expected to be the cause of car collisions. The FIA had initially introduced the DRS technology to help the drivers overtake their opponents during the race and were not intended for use in practice and qualifying sessions. 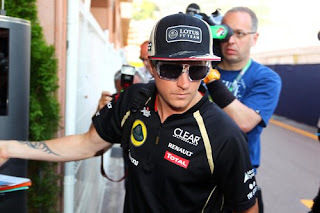 Kimi Raikkonen, who drives for Lotus F1, has stated that he does not think Lewis Hamilton’s move to Mercedes AMG in 2013 F1 season will change the performance of their car. In September this year, Hamilton announced departure from McLaren in order to join Mercedes AMG for the 2013 season. Hamilton had begun his F1 career with the Woking-based team and has also won one championship with them in 2008. Hamilton’s performance this year was immensely obstructed by McLaren’s reliability problems which put him out of the championship fight despite having displayed good pace on many occasions in the season. However, Hamilton said he is changing teams because he needs a new challenge and Mercedes will provide perfectly for that since they have been struggling with their performance. Mercedes had returned to F1 in 2010 with Michael Schumacher and Nico Rosberg but their performance has remained insignificant ever since. Schumacher had returned from retirement to join the team which was now being led by Ross Brawn who had been the technical director for Ferrari in the days the German driver was driving for them. He had also returned in hopes of his eighth title but failed since the condition of the Mercedes car was quite dismal. The team’s most significant achievement was their first Grand Prix victory in three years by Rosberg during the Chinese GP. Hamilton himself admitted that he does not know if he will get a car that can bring him wins in the near future. 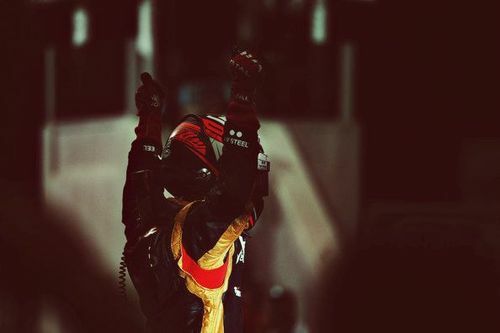 His last victory was at the 2012 United Stated GP. Kimi Raikkonen has backed the decision to limit the use of DRS for the 2013 F1 season – arguing that it was a sensible decision to improve safety. 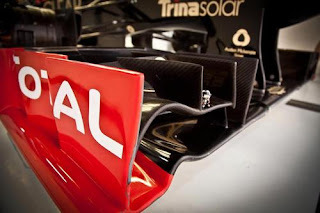 While use of the system – which allows drivers to get a boost in performance by opening a flap on the rear wing – has always been restricted to a certain area of the circuit during a race, it had been available more freely in both practice and qualifying. However, the final World Motor Sport Council meeting of the year saw the FIA decide to ban the free use of DRS in practice and qualifying and instead impose the same restrictions that are in place on race day, a move Raikkonen said was wise to improve safety. After one-off Albert Park and mixed-conditions Sepang, we know that McLaren and Red Bull have race-winning pace, Mercedes still has issues with tyre degradation and Fernando Alonso somehow leads the world championship with a prancing horse more akin to a donkey. Sauber has 30 points on the board already, but is anyone coming in under the radar? For me, it's Kimi Raikkonen and Lotus. 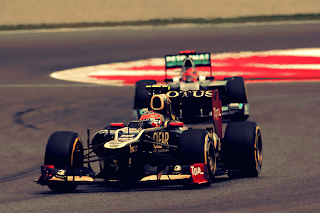 A mixture of errors and bad luck disguised Kimi's potential in the opening two races, but the potential is there. Raikkonen: What was he thinking? Kimi Raikkonen and is successful comeback lands in the 9th spot in the top 20 moments. 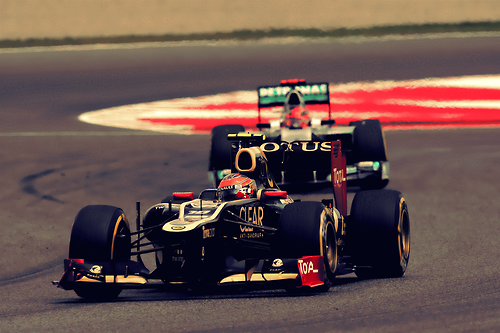 The Iceman returned to Formula One with the Lotus team. His fans were happy, while others questioned his decision. 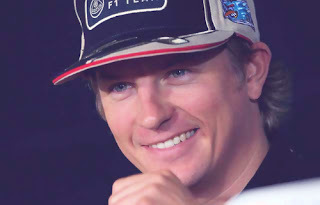 Kimi Raikkonen was coming back to Formula 1 in 2012 after his post-Ferrari "gardening leave" for two full-seasons in WRC and even a short stint with NASCAR? How could he possibly still have the touch after being out of the loop for so long? We'd all seen what a long layoff had done for Michael Schumacher; surely Raikkonen wouldn't do better than the seven-time champion. Turns out the fire never left this Finn - he not only placed third in the season-long driver's scramble but he beat both vaunted McLaren drivers in the process. Raikkonen's masterful job of working off the rust, piling up the points, picking up a win, finishing on-podium seven times and helping Lotus F1 Team reach heights they could only dream of attaining before his return answered every single skeptic worldwide - and probably even Kimi himself. After all, there's been a sea change since 2009 in F1 - tires have changed, teams have changed, drivers have come and gone since Raikkonen's last tenure with Ferrari at the top of the sport. The cars are different to drive than they were during his last stint and there are new - and more - tracks on the schedule he had to learn. The Iceman came; he saw what needed to be done and went about his business with customary quiet fortitude. Just about the only time Kimi Raikkonen put a wheel wrong was in the finale at Brazil when he took a no-longer-used escape road. "Leave me alone. I know what I'm doing." 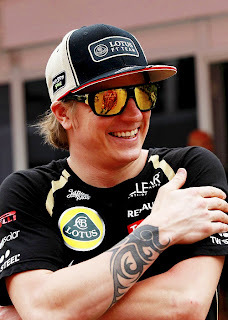 Lotus driver Kimi Raikkonen impressed everyone with his amazing performance in this year and will come up even stronger in the 2013 Formula 1 season. 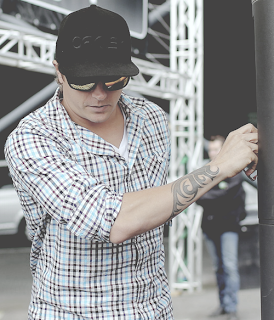 Raikkonen left the sport after his pre-mature contract termination with Ferrari back in 2009. He took part in World Rally Championship in 2010 and 2011, but could not prove his potential and came back to F1 with the Enstone based team in this season. 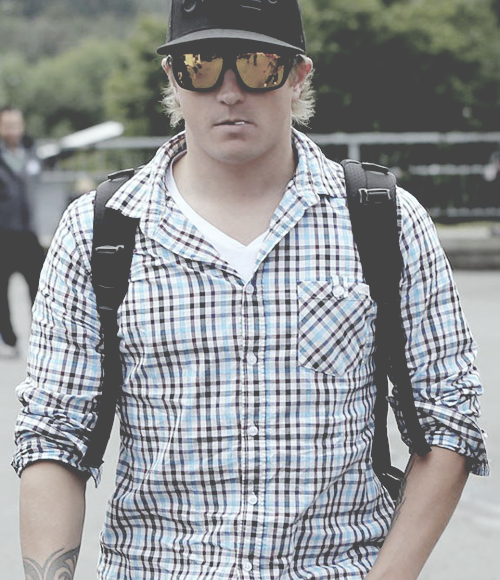 The Finnish driver performed incredibly well throughout the year and scored points with superb consistency. He stood among one of the most experienced and talented drivers in the field. Lotus' Kimi Raikkonen wishes you all a merry Christmas - as only he knows how. Kimi Raikkonen's victory in Abu Dhabi had so much going for it. It was the win that he had fumbled and lost back in Bahrain in April, when he had a look down the inside of Sebastian Vettel going into the first corner at the start of the 36th lap but backed out of when he should have hung tough. It came in Formula One's most romantic setting, in the dusk of the multi-coloured Yas Marina. And it was a romantic result, with the historied Lotus marque for which bygone heroes Jim Clark and Graham Hill and Jochen Rindt and Emerson Fittipaldi and Mario Andretti once drove, gaining their first victory since Ayrton Senna's success in Detroit a quarter of a century ago. Of course, Raikkonen himself saw nothing remotely romantic in it, because he isn't wired that way. "It's a long time for them, I guess," he said off-handedly. "I don't think there are any of the same people in the team any more. It's a name. 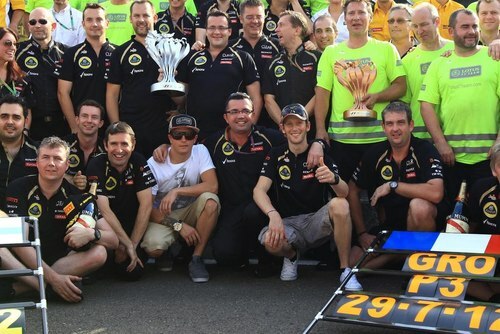 It's the same team and it has been since Fernando [Alonso] was there, just a different name. It's a great name for us, good past, but you know I race for the team whatever the name is. I don't really care. Maybe it looks good in somebody's eyes but for me it really makes no difference." There are no guarantees that a driver returning to F1 after time away will demonstrate the level of performance he'd shown previously. There are always question marks over speed and commitment, and these were all raised when Kimi climbed back into the seat of an F1 car at the start of 2012, after two years away. But soon we were witnessing familiar flashes of the Iceman's brilliance: the fastest lap towards the end of a race, the charges through the field, another podium and then another. Over the year, he has rarely made a mistake; his speed has been stellar, his consistency metronomic. When Kimi Raikkonen's name hit the rumour mill few could have imagined the impact he would have this year. After two years away in rallying and US racing, his return with Lotus was a gamble. But the relationship clicked and not only was he fast, focused and competitive, the team managed to step up a level too. His consistency was impressive - he finished every race - and it was only a matter of time before that victory finally came in Abu Dhabi. 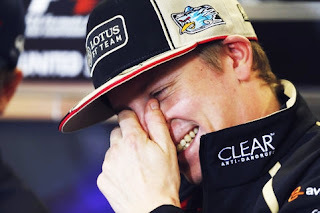 Lotus found comedy gold in Kimi Raikkonen when the Finn couldn’t make the team Christmas party because of the FIA awards ceremony. They put together this video showing that the Finn is actually up for a laugh – and proving that the straight man in a comedy act often delivers the funniest moments. 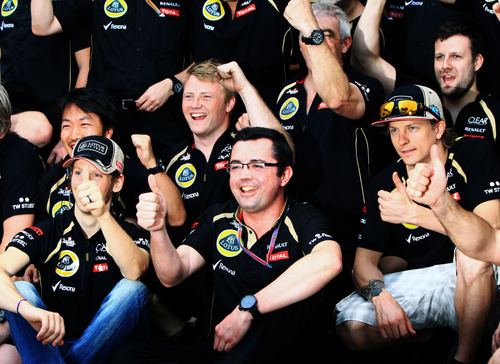 Lotus Team Principal Eric Boullier says he is confident that Kimi Raikkonen and Roman Grosjean will make strong starts to 2013. With Raikkonen returning to the sport after four years out and Grosjean starting his first full F1 campaign, both had fairly mediocre beginnings to 2012, especially the Frenchman, who was forced to retire in each of the first two races. They slowly but surely improved though and as the team continued to develop its car, the drivers' results only got better. Now after another winter of testing, Bouiller is confident his charges will challenging for the title and is expecting a fast start to next year. "I would be very happy to start the season with the same car performance we had last year relative to everyone else," Boullier told Autosport. "I know both our drivers will be race fit and, let's say, delivering more than 12 months ago." Kimi Raikkonen believes Lotus's new simulator will be of little use to him next season as he prefers to do the majority of his work at actual circuits. The new simulator at Enstone was first used by Romain Grosjean ahead of this year's US Grand Prix after the team invested in it to bring its facilities closer to those at its rivals' factories. At the time Grosjean said he was hoping it would help "for testing the things that we don't have time to test on track", but Raikkonen is not keen on the new addition. 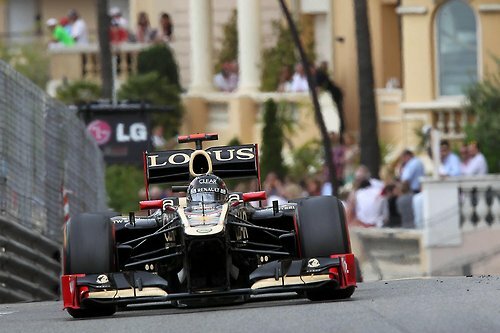 "I've never been a big fan of those and you never get as close to what real driving on the circuit is," Raikkonen said. "We can probably do a lot of things to learn the circuits and stuff like that, but I don't think this is really going to change things." Raikkonen believes Lotus success going forward will be down to the whole team continuing to work together as it has this year. "It's the whole game together; there are a lot of people involved and you cannot make it happen by yourself," he said. "It's just the team work and everybody trying to do the same thing and deliver the best that we can. I think it's been a good atmosphere in the team." 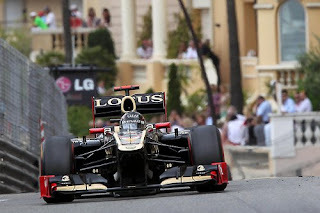 Romain Grosjean says that he will be able to improve as a driver in 2013 as he learns from the mistakes he made this year. Grosjean has been involved in a number of incidents during his first full season in the sport, gaining a reputation due to the number of clashes he was involved in during the opening laps of races. The most serious error came in Belgium where he was handed a one-race ban for causing a collision at the start which resulted in his own car flying very close to Fernando Alonso's head.